The Wonderful Story of Britain: The Barons' War. 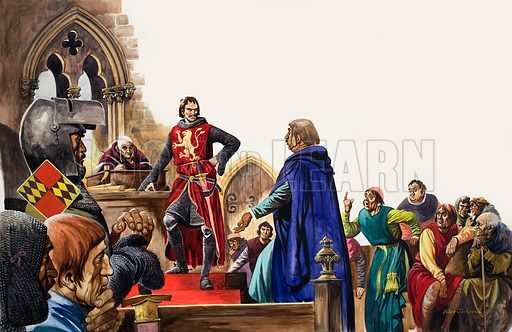 Simon de Montfort meets the men who have come to his Parliament in London. Original artwork from Treasure no. 47 (7 December 1963). Available worldwide for immediate download up to 4,965 x 3,223 pixels.